Industry leader signs on to support the co-located Florida events. Trumbull, CT – November 8, 2018 – TMC (News - Alert) today announced 128 Technology signed on as a platinum sponsor for MSP Expo and gold sponsor of SD-WAN Expo. The two co-located events take place January 29 – February 1, 2019 at the Greater Ft. Lauderdale/Broward County Convention Center in Fort Lauderdale, Florida. The combined expo hall has become the annual meeting point for buyers to sit face-to-face with hundreds of manufacturers and solutions providers in one place, for three incredibly productive days. Through its powerful content, MSP Expo brings together business owners and technology specialists in the channel to grow their managed services business. SD-WAN Expo is the leading forum for enterprise executives, service providers, and technology vendors to connect, learn and discuss how the market is growing and how to make the most of the SD-WAN opportunity. 128 Technology makes your network do what your business needs, by changing the way networks work. Its professional grade software teaches routers the language of applications and services, letting them understand the requirements of individual services and segments, and adapt the network dynamically to deliver what the business needs, when and where it needs it. 128 Technology makes routers Session Smart™, enabling enterprise customers and service providers to create a service-centric fabric that’s more simple, agile and secure, delivering better performance at a lower cost. Registration for both MSP Expo and SD-WAN Expo is now open, contact events@tmcnet.com. For media inquiries, contact Jessica Seabrook. 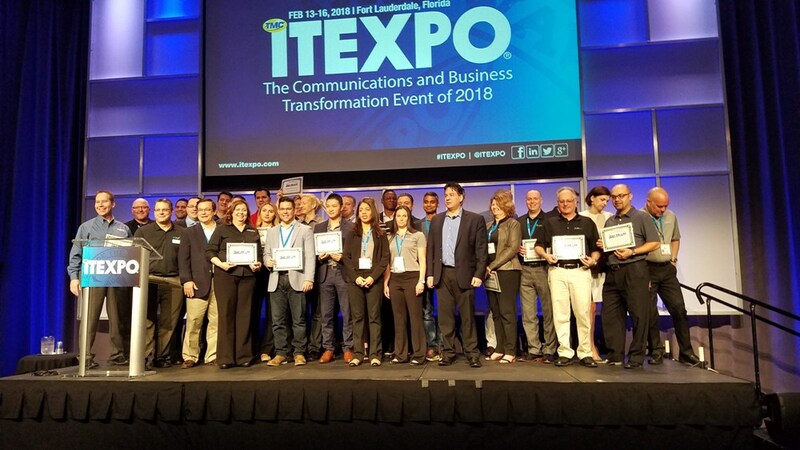 Companies interested in exhibiting, sponsorship or advertising packages for MSP Expo and SD-WAN Expo should contact TMC's Joe Fabiano at 203-852-6800 x132 or Maureen Gambino at 203-852-6800 x109. MSP Expo is also supported by platinum sponsors, ConnectWise, Jive, net2phone, ServiceTree, Wildix (News - Alert), gold sponsors, Event Tracker, Shield4UC Inc, Yottabyte and Platinum Media Sponsor Telecom Reseller. SD-WAN Expo is also supported by platinum sponsors, Open Systems (News - Alert), QOS Networks, gold sponsors Barracuda, Claro Enterprise Solutions, Granite, HughesON, InnuCloud, Talari Networks, WAN Dynamics and exhibitors, Mushroom Networks (News - Alert), Tallac Networks and Zyxel Communications. For the latest news, updates and information on these events follow them on Twitter at @MSPExpo and @SDWANexpo.